Roberto Firmino’s role in Liverpool’s offence is well-documented, he’s been heralded as the ‘Modern Day False 9’ and rightfully so. Arguably, the most complex role in football is the False 9. 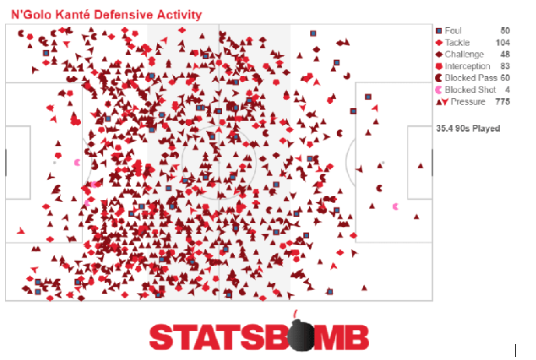 It is easy to claim that it’s all about dropping deep and playing more as a midfielder, but in reality, it is a lot more complex. It involves timing, understanding of the game, versatility and traditional striker roles like hold-up. There are very few players who have mastered the False 9 role such as Francesco Totti, Karim Benzema and Lionel Messi, in particular, who redefined it. In Italy, managers put a lot of importance on defensive structure, so to counter this, a new position called a False 9 came to fruition whose main role was to either disorganise the defensive shape or find space to play through balls to the runners up front. Such a player needed to be technically gifted and possess a keen footballing intelligence. Francesco Totti fit this description to a tee and starred in this role for Roma. 1) Il Gladiatore would regularly drop deep to play as the team’s attacking midfielder. If the centre-back was man-marking, then he would leave space for Roma’s wingers to run into. In case the central defender did not man-mark, Totti had space and time to pick out a pass that would lead to a goalscoring opportunity. 2)The second method was not used commonly by Totti but is more prevalent in Karim Benzema’s game. 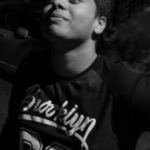 The False-9 would switch to the flank and aided by his superb dribbling ability, would take his fall-back on or create chances from wide positions. The Frenchman’s dribbling ability and crossing made him perfect to perform this role, not to mention he had a marksman such as Cristiano Ronaldo to aim at regularly inside the box. However, a False-9’s role is massively different from that of a midfielder. He still has to perform traditional striker roles like holding up the ball and attacking the opponent’s goal during set-pieces. While Lionel Messi was an exception to this rule under Pep Guardiola’s regime, whether it is Totti, Benzema or even Ibrahimovic, they must intertwine these varying positional traits to truly satisfy this role. 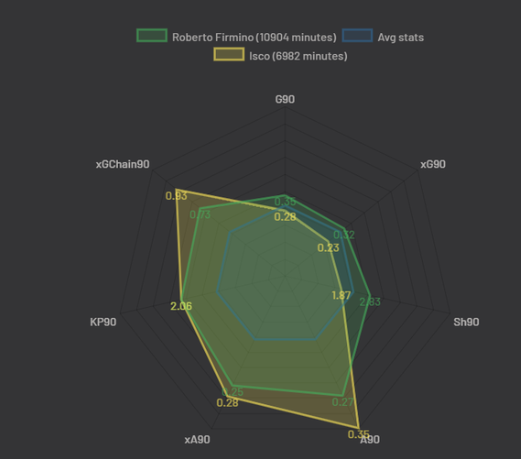 A Modern day False 9 like Roberto Firmino has to perform the above roles along with some other duties like being the focal point of the team’s pressing system and jog back to provide an outlet during a counter-attack. Firmino is a great example of a player who balances the roles of a traditional False 9 and with that of the modern false 9. Below is an example of Firmino fulfilling the traditional role of a false 9. If you’re going to make as many key-passes per 90 minutes as Isco in your entire career while playing in a forward role for most of it, you are a certain master of your craft. Modern Day False 9’s also have a really important role in defence or pressing schemes of their team. 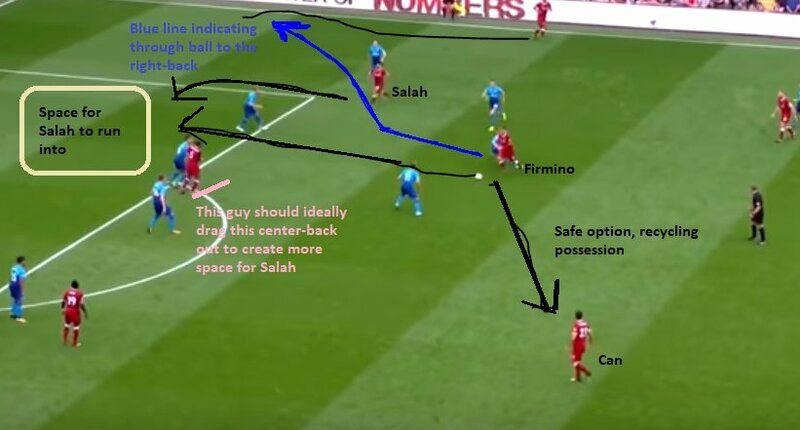 In Klopp’s Liverpool, Firmino is the most important player for his gegenpressing system. 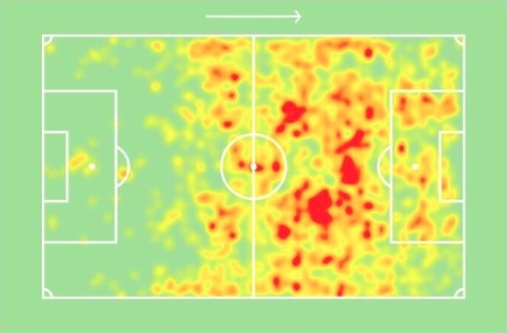 His heat map shows that he is present all over the pitch. Another way to look at this is by comparing the PPDA (Passes allowed per defensive action), which means the average number of passes the opponent completed per possession and we can see how aggressively Liverpool press. 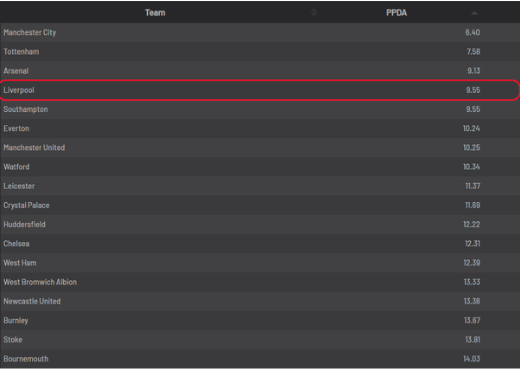 Ranking 4th in the 2017–18 season, this doesn’t take into account that the Merseyside outfit had an alarmingly brittle strength in depth last season which makes the number lower than it should be. Firmino pressed the opposition for a total of 723 times last season or a massive 22.3 times every 90 minutes. Contrast that to N’golo Kante, the best destroyer in modern football who has an equally impressive – 775 occasions of applying pressure or 21.9 times/ 90 minutes and the Brazilian’s tireless efforts really paint a picture of the demands of the Modern false 9. And Firmino still manages to come up with 25 goals and 14 assists in the league and Champions League combined (2017-18 season) while being so fundamental to his team’s offence and defence. An absolute gem of a player, the former Hoffenheim forward is a wily customer and a testament to how crucial a False 9 is to ensure the fluidity of a particular system for a wide array of sides on the planet. 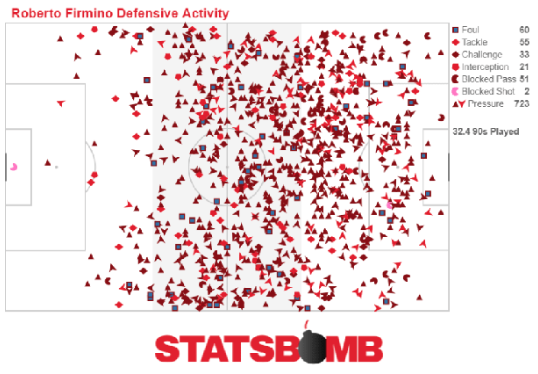 An In-depth tactical analysis of the art of pressing and counter-pressing in football. We’ve looked at the various types of pressing methods deployed by managers to get a stranglehold on their oppositions.